Haynes Family: Happy "Pretend" Birthday Jaeden!! 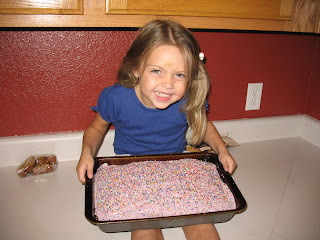 Jaeden asked me if we could make a purple cake with purple frosting, why not?! 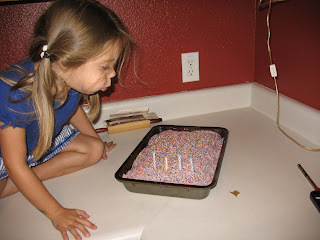 When we were ready to eat it she asked if we could pretend to have her 4th birthday party so we sang and she blew out the candles. She is a funny, fun girl! !